The Association hosts two annual tournaments at Hallowing Point Park in Prince Frederick. The Spring Fling Tournament is held the third weekend of April. 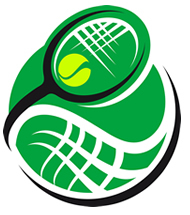 The tournament offers 3.5, 7.0, and Open events for Men and Women in Doubles and Singles, including Mixed Doubles. Click on a year to view prior tournament results: 2018, 2017, 2016. 2019 Spring Fling Tournament dates are April 27th & 28th, registration will open on Sunday, April 7th. To register, visit 2019 Spring Fling Tournament. The Monster Smash Doubles Tournament is held the fourth weekend of October (10/26-27/19). This tournament consists of Women’s, Men’s, and Mixed teams in Open and 7.0 Doubles events. Click on a year to view prior tournament results: 2017. Awards are provided to the runner ups and champions of each event. All players receive a participation gift. Bottled water and energy snacks are provided for each tournament. Registration opens three weeks prior to each tournament. The registration form will allow users to register players without automatically restricting the number of events a player can enter. Therefore, we ask that you limit player registrations to two events per player per tournament. Using the form, users can register teams for events, through PayPal with the additional option of paying with a Debit or Credit Card. Events in each tournament are subject to cancelation due to lack of registration. Players are contacted during a tournament draw to offer a refund or change in event.